Reflecting on the news yesterday of the death of Chris Cornell, Getintothis’ Joseph Viney offers some personal thoughts. The death of a famous face is always an odd moment for the reflective, inward public. Should you be sad? Is it okay to be upset? How can we mourn that which – in reality – we do not actually know? Famous deaths are a mixed bag that tend to become a race to the bottom. In among heartfelt – others overwrought – tributes, there is the usual cavalcade of bores who take great care to remind others that no, they can’t possibly feel sad because the deceased is just a rock star…just an actor…just a writer…just a hard working person with a family and with an actual legacy and who has inspired, well…millions. The sudden, sad and shocking death of Chris Cornell – the 52-year-old Temple Of The Dog, Soundgarden and Audioslave frontman – leaves a huge gap not just in art, but in the hearts of many touched by his words and music. Soundgarden were always a different proposition from their contemporaries. Some would say better equipped musically; their blend of high-octane metal and blues licks belied the lazy lumping in with the grunge movement. Cornell’s angst and introspection always seemed more poetic – more literate – than others in their orbit. Even as their success began to bludgeon the collective head of the music industry – 1990 saw a North American run with Guns N’ Roses, NWA and Faith No More that granted them vital attention – Cornell did not allow the threat of easy living to derail the pushing of boundaries. Cornell and Soundgarden had a way of mixing the rough with the smooth, joy with pain and complication with simplicity. In among the unusual time signatures generated by him and the rest of the band lay devilish, addictive hooks and tunes you could whistle all day. Consider the relatively simple Spoonman; pulsing with a juddering, shifting rhythm and a guitar sound so thick you’d have to chainsaw through it. Hidden within one of their greatest hits – the needling, harried and urgent Jesus Christ Pose – was the eternal morality tale of using religion for personal gain, and crawling among the searing wreckage of Black Hole Sun – a song being combed to death for prescience and meaning in the wake of yesterday’s news – is a hugely popular song underscored by agonising lyrics that found a lot of people discovering a voice who spoke to them. Was Cornell a mass of contradictions or a talented pioneer looking to plough his own furrow? Inevitably – perhaps frustratingly – you can call it both. Their greatest period of success from 1991 to 1994 – the era of monolithic albums Badmotorfinger and Superunknown – came at a time when instead of sticking to the rigid formula that had made their name, they pushed and cajoled into new territory. Cornell’s voice – versatile and memorable – dragged influences kicking and screaming from all corners of the spectrum. It was this versatility that allowed his most notable post-Soundgarden project the chance to thrive and survive for a while. Audioslave – aka Cornell and the other three from Rage Against The Machine – started life as a tangled mass of curls and kinks. Here was the outwardly projecting political maelstrom of Rage, against Cornell’s inner sanctum. Here was the soulful, ageing Cornell covering new ground; ballads and numbers tinged by country and soul, backed by a band famous for squalls and not doing what you tell them. Audioslave won’t ever be as fondly remembered as the members’ prior projects – although a revisionist view is surely on its way – but a brief light did shine. Debut single Cochise was a loose-hipped, salty lipped headbanger that married the best elements of the quartet’s shared pasts. But left to dry in the sun of indifference – commercially, critically and within the band itself – Audioslave petered out, only to be rediscovered in the aftermath of individual tragedy. The Cornell that passed away yesterday left us with another maze of contradictions and questions. 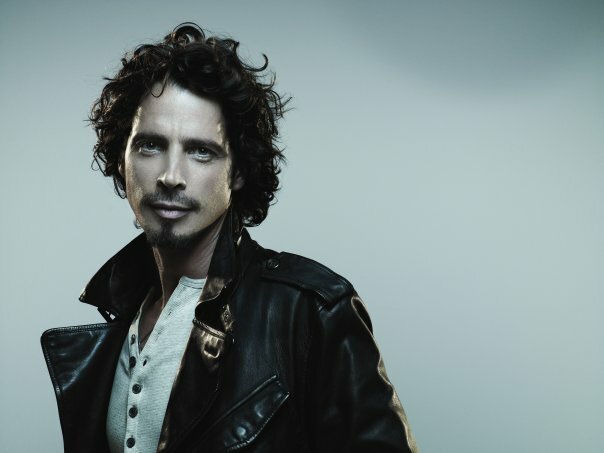 The night of his death saw a well-received Soundgarden show, a tweet brimming with positivity and fight, chest beating from a man with reason to clench his fist and thud his own heart and yet…well, you know the rest. A reformed Soundgarden and Temple Of The Dog, an eclectic solo career, business interests and a family. The outside world and your inner one don’t always correlate, but the shock of the contrast never gets any easier to digest. One particularly tragic element of Cornell’s death is that in the skidding aftermath of a long career defined by change, contradiction and the desire not to be like the others, he’s now lumped in with other tragic figures of his time: Andrew Wood, Kurt Cobain and Layne Staley. All icons whose sad and lonely deaths cast a shadow over their legacies and those close to them for the rest of time. Chris Cornell Soundgarden frontman dead at 52 Lovecraft pioneer a Mission To Mars DJ Rashad: 1979 – 2014 – a modern day dance pioneer Casablanca and Max Steiner: A pioneer in sampling? 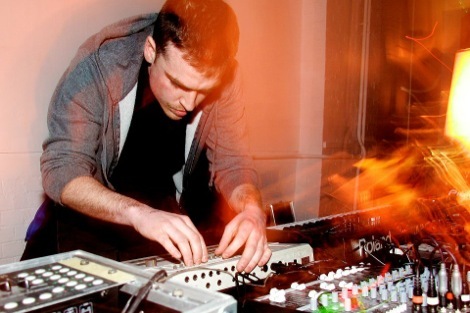 John Heckle: The Liverpool electronic pioneer that’s lost in space Mark Jenkins RIP: a tribute to a true originator – ‘a pioneer, a rule-breaker and a huge talent’ Blanck Mass, Bonnacons of Doom, Dialect: 24 Kitchen Street, Liverpool Trump visit to UK: a weapon of mass distraction?